First lines making their mark? 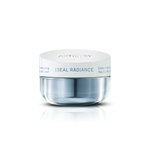 Revitalize, refresh and de-stress with this lightweight, anti-fatigue gel. 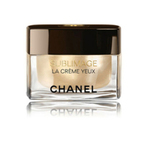 Helps minimize the look of new wrinkles, while energizing and toning skin with the perfect amount of moisture. Defends skin from the elements with ClarinMen's patented anti-pollution complex. 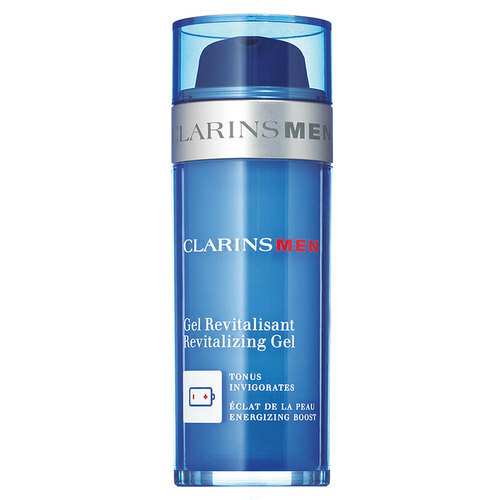 Apply after ClarinsMen Active Face Wash or Active Face Scrub. For external use only. 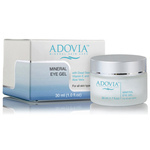 When using this product keep out of eyes. Rinse with water to remove. 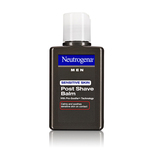 Stop use and ask a doctor if rash or irritation develops and lasts. Keep out of the reach of children. Aqua/Water/Eau, Alcohol, Glycerin, Cyclomethicone, Pentylene Glycol, Butyrospermum Parkii (Shea) Butter, Cetearyl Isononanoate, Aluminum Starch Octenylsuccinate, Trehalose, Butylene Glycol, Ammonium Acryloyldimethyltaurate/VP Copolymer, Propylene Glycol, C14-22 Alcohols, PEG-20 Methyl Glucose Sesquistearate, Avena Sativa (Oat) Kernel Extract, Xanthan Gum, Parfum/Fragrance, Tocopheryl Acetate, Hierochloe Odorata Extract, Phenoxyethanol, C12-20 Alkyl Glucoside, Disodium EDTA, Lycium Chinensis Fruit Extract, Biosaccharide Gum-4, Panax Ginseng Root Extract, Portulaca Oleracea Extract, Thermus Thermophillus Ferment, Lapsana Communis Flower/Leaf/Stem Extract, Potassium Sorbate, Alpinia Officinarum Root Extract, Camellia Sinensis Leaf Extract, Rhodiola Rosea Root Extract, Sodium Lauryl Sulfate, Tocopherol, Limonene, Linalool, Hexyl Cinnamal, Butylphenyl Methylpropional, Alpha-Isomethyl Ionone, Benzyl Benzoate, Citral, CI 42090/Blue 1, CI 60730/Ext, Violet 2, [V1726a].